GeeXLab 0.9.5.0 comes with an up to date Python plugin (I’m too lazy to update the Python plugin for each minor release), various small bugfixes and the support of NanoVG. 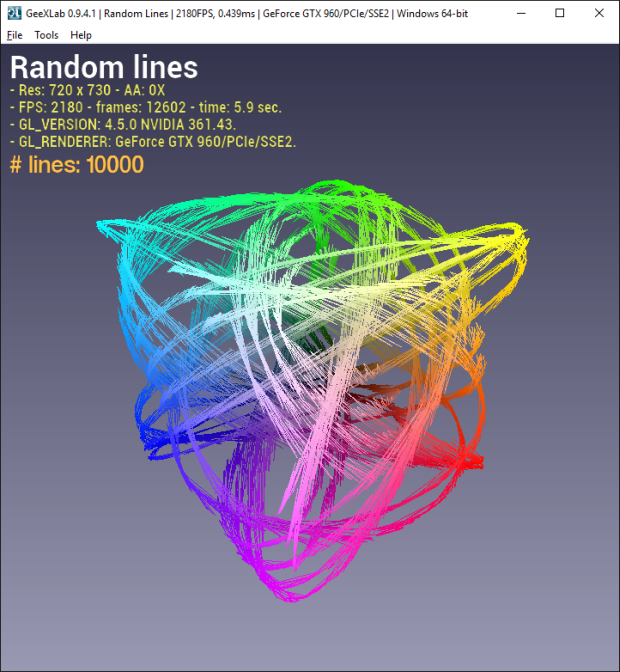 NanoVG is a great library for building user interfaces or for drawing 2D shapes and curves. 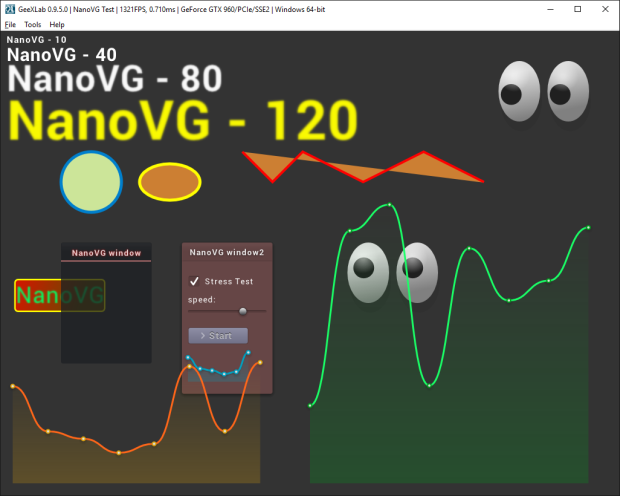 More information about NanoVG + GeeXLab can be found in this article: How to build User Interfaces and 2D Shapes with NanoVG. 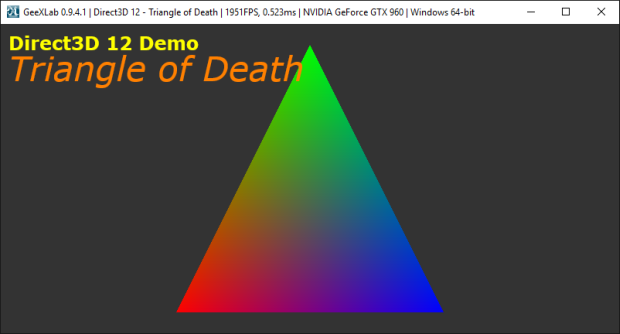 An article that details how to display text with DX12 is available HERE. 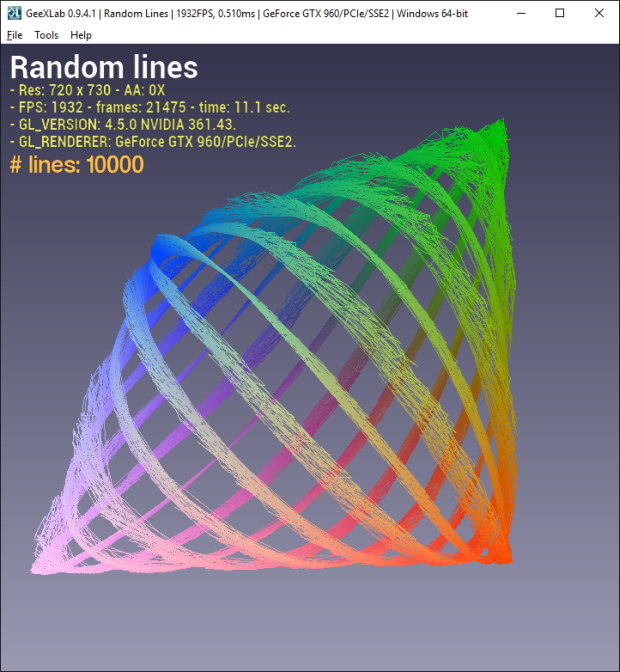 An introduction to Direct3D 12 programming with GeeXLab is available HERE. 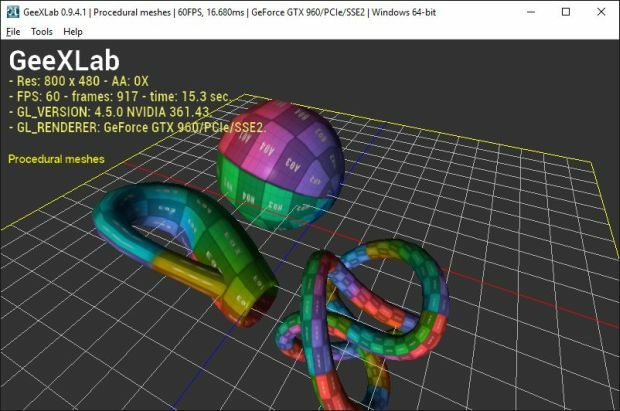 New procedural meshes, based on this library have been added: platonic solids, trefoil knot, Klein bottle. More details can be found in this article. GeeXLab can easily extended via custom dynamic libraries coded in C. These dynamic libraries must expose some functions described in THIS POST. Recently, Lynn Jarvis, the author of Spout, sent us a user plugin that transforms any GeeXLab demo in a Spout sender. More details are available in THIS ARTICLE. For people that loves Shadertoy demos, here is an article that explains how to read the keyboard in a GLSL shader. The file “network_live_updater_lua_python.exe” is detected by 21 / 52 scanners on virustotal.com. Please clarify the situation with this file. Thanks for the feedback. I recompiled network_live_updater_glsl.exe and network_live_updater_lua_python.exe and now virustotal detects only 2 issues. For GeeXLab.exe, virustotal detect 0 issue for the 64-bit version and 2 issues for the 32-bit version. I think they are false positive. New GeeXLab 0.9.5.1 will be released with new exe, the virustotal report and the return of the internal TCP server that was disabled in previous versions. GeeXLab internal TCP server is required for remote live coding.